Let's Keep Those Treasured Dulcimers in Circulation!! SCDH is not responsible for the accuracy of this list, the sales and transport arrangements or the quality of the instruments and related products. SPECIFICS HELP BUYERS: Asking price, model, builder, age of instrument, original price, your contact info, anything of note. THROW IN EXTRAS: Cases, tuning equipment, books, hammers, stands, etc. resale and contributions to our 501(c)(3) nonprofit organization. CONSIGNMENT TABLE at the next SCDH Festival, Nov 11th, 2017. 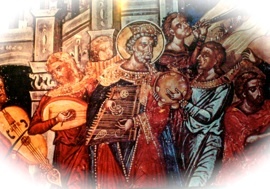 Bring instruments, music accessories with info to sell during the festival. 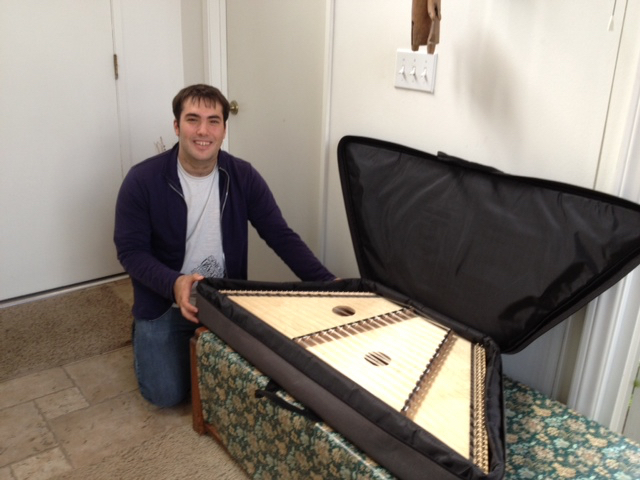 Matt Sguerri and the beautiful dulcimer he bought through Dulcimer Rescue! A very old (pre-Civil War era?) 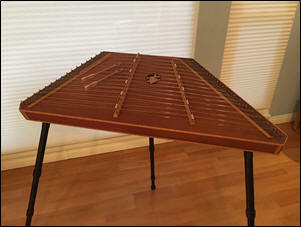 hammered dulcimer. Possibly made by Henry Ransom, 1856-1859. 7/11 set up with 4 strings/course. Hinged lid. Beautiful heart sound hole covers with blue cloth underlay. Not playable as is. Would be a great showpiece, museum item or restoration project. A piece of history. Wish we knew all its stories. “I have this gorgeous handmade custom Appalachian Mountain Dulcimer (made by E. Dale Eckard of Smoky Ridge Dulcimers)-- it has a fret at 6 and a half. It needs a string, but is otherwise perfect. 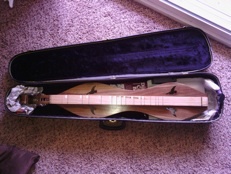 Comes with case, electric tuner, dulcimer chord book, and dulcimer music book. Great instrument, hoping to sell to someone who knows how to play and will give it love (I absolutely love this thing), but I have to buy diapers and baby food, so I have to sell. 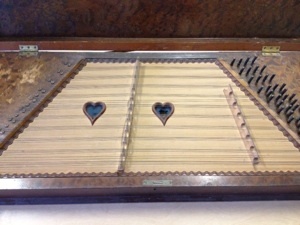 Blue Lion fretted dulcimer for sale. Hour glass shape with heart sound holes. It's light in color (could be Maple or Cedar). Comes with a hard shell case. I have a D10 for rent for $30 per month. This instrument is an 11/12, mahogany back and sides with nice warm tone. 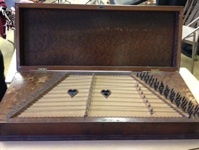 Stands for dulcimers are also available for rent or purchase. As the Dusty Strings Retailer for Southern California I have several new instruments and some accessories in stock. I also do some minor repairs. I can help you with all of your dulcimer needs!